Mr. Baron has been working with Louis S. Goldstein and Cindy G. Fluxgold since 1994. 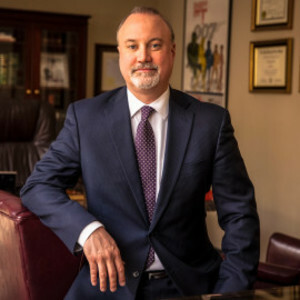 For over 20 years, Mr. Baron has represented Plaintiffs in civil litigation, including medical malpractice, personal injury and civil rights, in both state and federal court. He has represented clients in major injury and death cases. Over the years, Mr. Baron has obtained millions of dollars for his clients through settlement, litigation and trial. Mr. Baron lectures to student groups and provides instruction regarding current trial techniques. He remains actively involved in judging trial competitions, mediations and negotiation competitions. In addition to joining the adjunct faculty at the Chicago-Kent College Of Law, Mr. Baron has served as a panelist, evaluator and Judge for various trial courses, court competitions and exercises. He has been coaching Chicago-Kent Trial Advocacy Teams, including, Georgetown White Collar Crime, American Association for Justice, NBLSA and NCTC Competitions. Mr. Baron is actively involved with his alma mater, The John Marshall Law School, with mentoring current students, assisting with job placement and alumni relations. Mr. Baron has continually contributed to Personal Injury Forms: Illinois – 4 Volumes, which was published by Lawyers Cooperative Publishing. Mr. Baron is Co-author of the Chapter entitled “Opinion Evidence” of Illinois Civil Trial Evidence, Illinois Institute of Continuing Legal Education. Mr. Baron is a member of the Illinois Bar, US District Court for the Northern District of Illinois and the West Suburban Bar Association. Education •	Mr. Baron attended the University of Illinois receiving an Illinois Representative Scholarship and graduated from the University of Illinois, Champaign-Urban, Illinois, with a B.A. in English, Music & Cinema Studies, in 1992. •	He graduated from the John Marshall Law School, Chicago, Illinois, in 1995. While attending John Marshall, Mr. Baron was President of the John Marshall Health Law Society, Vice-President of the Phi Delta Phi Legal Honors Fraternity and a member of the Negotiating Team.